It’s a super cute ode to Clueless. No one makes a walk of shame look as cute as Little Boots' Victoria Hesketh. 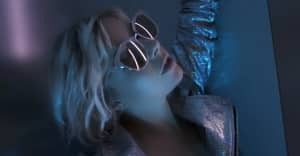 The UK electropop singer based her first single from Working Girl, "Better in the Morning," on the headache of pulling yourself together the morning after—but you'd never know based on her appearance in the song's video. It's a dreamy continuation of the album artwork, with Hesketh masterfully pulling off a trench coat, a pantsuit, and pastels as she tries to get ready for her day. Watch the GIF-ready video and check out her upcoming tour dates below. The album is available for preorder now on Amazon and iTunes.